This is a guest post from Trisha Wagner, a freelance writer for DepositAccounts.com. To find out how to guest post on Own The Dollar, check out our guest posting guidelines. As a result of the recession many consumers who previously viewed their personal finances through rose colored glasses are realizing they need help to better manage their money. The basic principles of responsible money management have not changed over the years. If you do not have a money management system in place, don’t worry. It is a safe bet you are not alone. In fact, you are in luck because there has never been a better time to buckle down and get control of your finances. If numbers are not your thing, you don’t have to turn to an accountant or financial advisor to help manage your money. All you have to do is go online. The following online money management tools are gaining in popularity. They offer consumers an outlet to create a budget, track expenses, follow investments and much more. Mint– One of the most popular online personal finance services, Mint has over 1 million users. They provide a free service that allows users to follow bank accounts, credit cards, loans, and investments in one place. Once you set up your account, Mint will download, categorize, and graph all of your finances everyday. Having this information in one location makes it easier to see the “big picture” when it comes to your finances. The information provided by Mint can help users see where they are spending, how they could save more money, and offers that are available that could help you reduce your debt. ClearCheckbook– You probably know that banks are making money off of overdraft fees, right? Did you know they are making billions? That must mean there are a lot of people who could take advantage of a tool that helps you keep track of money you spend. Basically, ClearCheckbook is like a virtual checkbook with a lot of added features. You can create groups and accounts to help track your spending, search transactions, set up reminders, and import/export records. 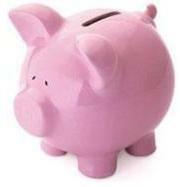 SmartyPig– We all know the importance of saving money. Knowing and doing are two different things, which is why experts agree savings should be automated. SmartyPig takes automation to a new level. Users tell SmartyPig how much money they want to save for a specific goal and the date they want to reach their goal. SmartPig then suggests a payment that will be automatically deposited into your online savings account from your current checking account each month to help you reach your goal. In addition to you saving money, SmartyPig is also a social network which allows others (parents, family members, friends) to contribute toward your goal as well. Your options are not limited to the three websites listed here. In fact, there are dozens of online management tools that can help you get control of your money and reach your financial goals. It is important to fully research any company or program before entering personal information. Take the time to review privacy and security policies to ensure your information is safe. Now that you know what kinds of tools are available, get started today and begin your journey to financial freedom. With much of the money you save you could consider investing in education. There are many options, such a this RESP, which allows you to contribute a fixed amount every year. Anybody have an opinion on how well Mint works? Great post. I just signed up for a tool called moneystrands.com. The tool allows me to compare my spending and income to other people like me which I thought was cool. The site also has a really good user interface. Really nice info about money management tools. You may also refer to manageME7 for easy money management. I was trying Perfios, and my suggestion is if you are an Indian then this Personal Finance service is a must. its free, most comprehensive and it fetches your transactions automatically without storing your credentials, try it out ! Hey Veer, tried perfios (www.perfios.com) after reading your comment and saw them on Twitter too, looks very promising to me….let’s see if they work on the look and feel of the application else concept wise it is very new in India! I wonder y no one else ever tried doing this earlier?